Skye and Lochalsh is, of course, home to the world famous Eilean Donan Castle – the world’s most photographed castle. 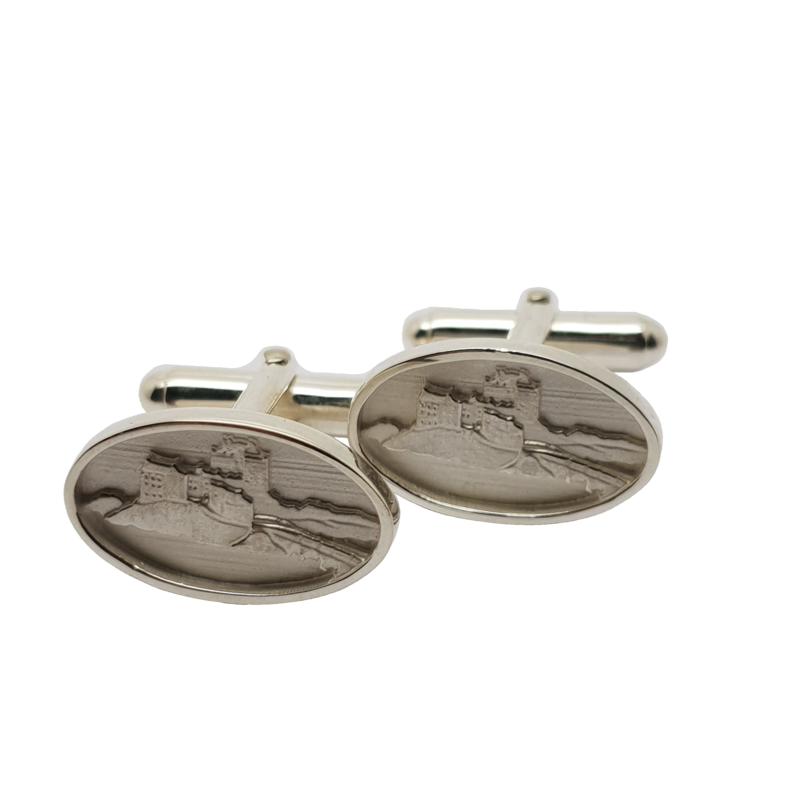 We have created Sterling silver jewellery featuring this picturesque castle which is made by and exclusive to Love from Skye on the Isle of Skye. Our Eilean Donan jewellery features the castle itself, as well as the footbridge and the surrounding sea lochs – all framed in an oval shaped design. 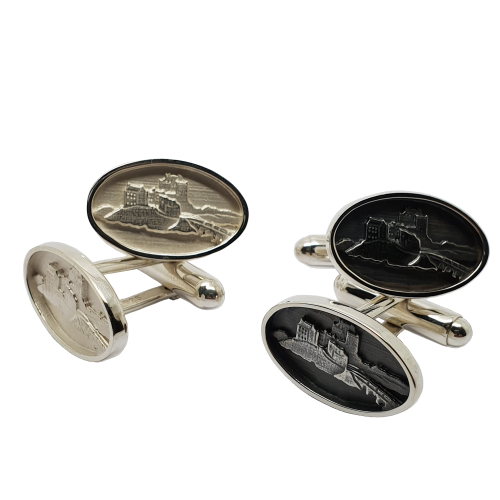 These cufflinks can be oxidised to darken the silver behind the detailing, as shown in images. The castle itself and the silver around the frame are polished silver. The landscape behind the castle is finished in a way which suggests the water of the loch. This finish is different with each piece we make (and this part of the piece cannot be polished due to the making process of this design). Our oval Eilean Donan cufflink design measures 20mm x 12mm each and are fitted with sturdy torpedo style cufflink fittings. For more information about the range of metals we work with, please see Options and Finishes.